The Natural Alternative to Cortisone. Cortisone-Free. Clinically proven effective. Homeopathic topical cream. Relieves itching and inflammation from eczema, rashes, dry skin and skin allergies. Clinically proven effective. Safe for long-term treatment. Florasone is the first natural alternative to cortisone creams and ointments to be introduced in the United States. It contains 10% tincture of Cardiospermum, a flowering tropical vine that has been used as a medicine in India and Africa for centuries. Brought into modern medicine by one of our sister companies in Europe, Florasone has been prescribed by European skin specialists & family doctors for years. 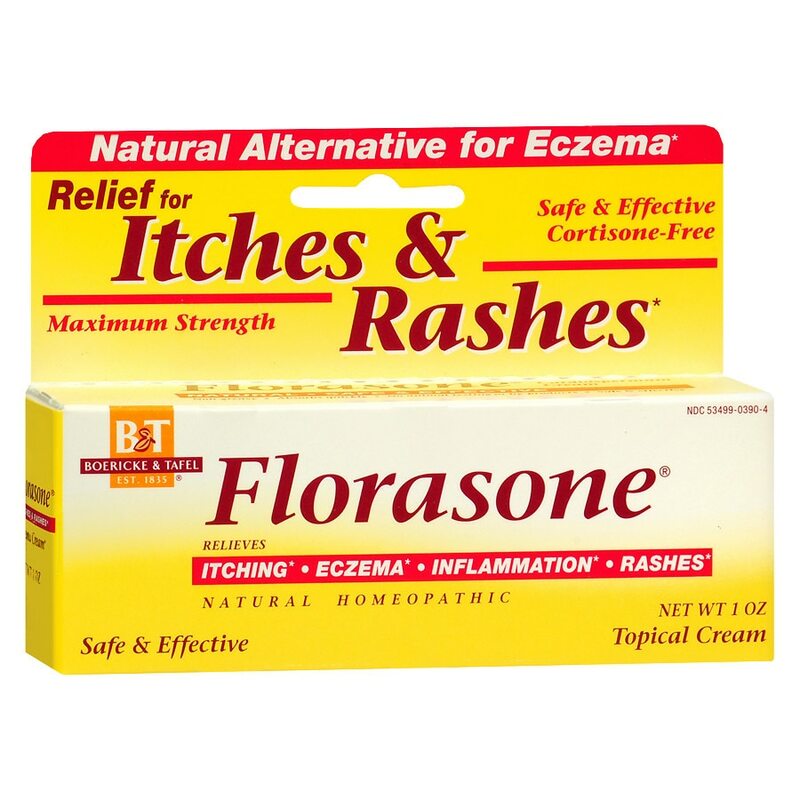 If you suffer from itching/inflammation from eczema, rashes, dry skin, or allergies, Florasone is the first medicine you should try. Clinically tested, Florasone provided relief in better than 80% of the cases. Florasone is safe and effective, and has a pleasant, natural fragrance. Breast-feeding women should not apply to breast area. Keep out of reach of children. If swallowed, seek medical help or contact a Poison Control Center immediately. For the temporary relief of itching and inflammation associated with minor skin irritations and rashes due to eczema, soaps, detergents, cosmetics and jewelry.